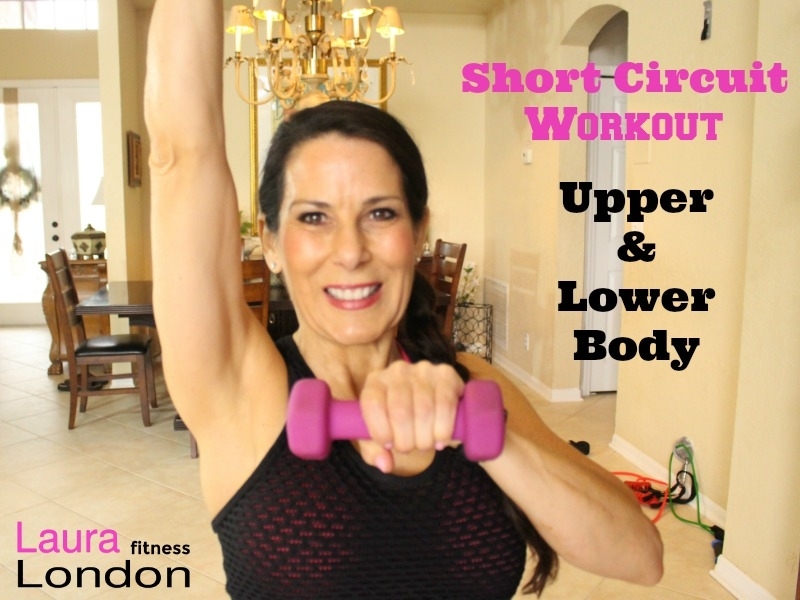 Get ready for a fun and effective short circuit workout today. You will need a set of resistance bands and a set of light weights. I love working out at home because it is such a great time saver. No driving to the gym and back. Especially if you have a busy schedule, and who doesn’t?